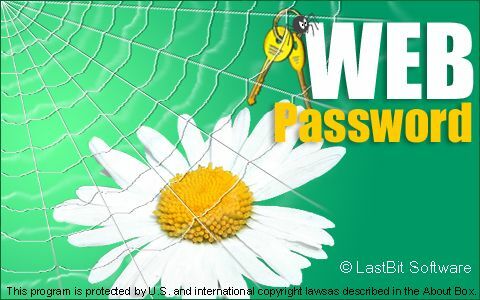 There are several products similar to Web Password are available today in the Internet. We tested most of them and found that all tested programs have a very weak protection. Protected pages could be decrypted instantly even if the password is unknown. Currently Web Password is the only tool that can protect your information securely (using 128-bit professional encryption). Using this program, a web page or a website owner is able to protect his HTML page with a password quickly, easily and reliably. Normally, password protection is implemented by server applications, and this is often the preferred way to do it. However, this is not always an option. Most of those using free and/or virtual hosting are deprived of this opportunity, because server hosts prohibit access to web server setup. There exists a vast quantity of programs that implement web pages password protection in a number of ways, but they all are unreliable, as it is enough to view the source code of a page to access its relevant data. Unlike these programs, WebPassword GUARANTEES that a page cannot be accessed without knowledge of a correct password. This is achieved through usage of a strong cryptoalgorithm which cannot be cracked even theoretically within reasonable time limits, provided that the password is long enough (8 characters is sufficient in most cases). WebPassword v5.0 has built-in e-book compiler. E-book is a single .exe program that shows included HTML files in its window. You can disable print feature and/or copy to clipboard feature in your ebook. Please note that this feature is available in professional version (WebPassword Pro) only. Windows NT/2000/2003/XP is required to compile ebooks. Compiled ebooks could be viewed under any Windows 9x/Me as well. There are two versions: Standard and Professional. The only difference is an ebook compiler available in Pro version. Standard version does not allow to compile ebooks. If you are registered user of Web Password, you can buy Pro version with a discount. Click here to learn more. WebPassword features easy-to-use one-window wizard-type dialog interface with drag-and-drop support implemented. WebPassword uses strong crypto algorithm which prevents unauthorized access to web pages. CAUTION: if your password is accidentally lost or forgotten, you will NOT be able to access your web page anymore. WebPassword supports all hosting types. No special support on the server side required; works with ANY standard server. Protected pages could be placed on a web server, CD/DVD, or hard disk. WebPassword supports File Transfer Protocol; all processed pages can be uploaded via FTP. Username and password may be saved for future use. E-book compiler allows to create password-protected e-books. You can put empty password to hide your HTML code. You can disable right mouse click in protected HTML code for better protection. You can enable password persistence so user is asked for the password only once per session (helpful if you are going to protect more than one page). Cached password is temporarily stored in computer's memory. You can find the product's documentation here. Certain scripts on encoded pages may not work or work incorrectly. SSI scripts will not function on encoded pages. However, you probably do not have SSI support if you need this program. Larger encoded pages (50K and more) may take more time to open in a user's web browser. Sample2 - another sample page with "popup" prompt style. The password is test,right mouse click is not disabled. Sample3 - no password, just HTML code protection. right mouse click is disabled.